Shop at our chic onsite boutiques. 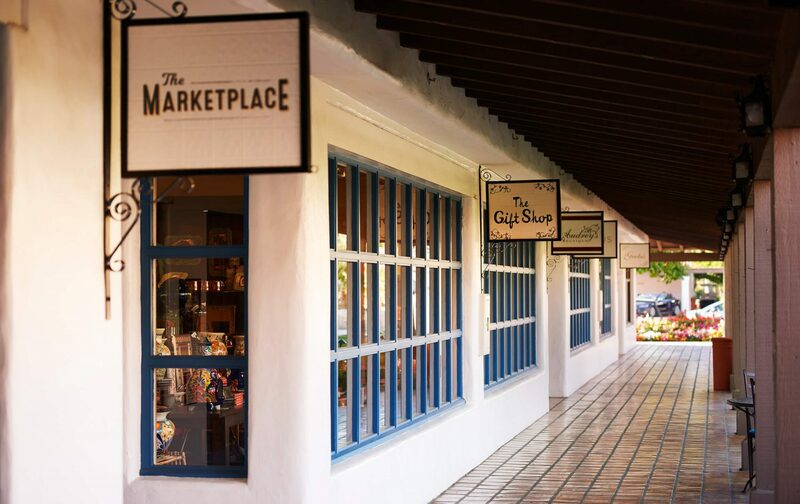 Our shops and boutiques at La Quinta Resort & Club provide an upscale shopping experience. Find your next closet must-have, home accents, plus bath and spa products. Neighboring shops tailored for the casual resort lifestyle. Complement fashion pieces with statement accessories, shoes, and handbags. A colorful retail outlet at La Quinta Resort & Club featuring designs from Trina Turk, Lilly Pulitzer, Splendid and more. Stocked with athletic wear and tennis equipment, this store has everything you need to enhance your game. Interested in lessons? Just ask one of our pros. Take the little ones to this toy and candy emporium, the ultimate destination for special gifts and sweet treats. The quintessential, all-American brand, Polo carries seasonal favorites for the whole family. Energize at our neighborhood coffee shop with freshly brewed coffee and pastries. Pick up souvenirs including locally inspired gifts and La Quinta Resort & Club merchandise. This stylish men’s boutique offers luxury lifestyle clothing from designers including Tommy Bahama and Peter Millar. Extend your spa experience by bringing home the organic products and specialist cosmetics used during your treatments. Pick up golfing attire and equipment at our clubhouse golf shops. Choose from top brands and La Quinta Resort & Club branded apparel.